Every serious student of social work history has heard the tale: In the late 19th and early 20th centuries, social work emerged as an occupation in Europe and North America and, by the 1920s, was considered a profession. Settlement houses were established in large cities in the United States during the 1880s. 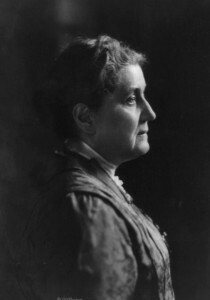 Jane Addams and Ellen Gates Starr founded Chicago’s Hull House, the most famous settlement in the United States, in 1889 after a visit to London’s Toynbee Hall, the world’s first settlement house. Over time, social work’s earliest pioneers—also including Florence Kelley, Alice Hamilton, Julia Lathrop, Sophonisba Breckinridge, and Grace and Edith Abbott, among others—laid the foundational bricks in the profession’s long and winding pathway. In a study published in Social Work Research, we determined that childhood poverty cost the nation $1.03 trillion in 2015. This number represented 5.4 percent of the G.D.P. Impoverished children grow up possessing fewer skills and are thus less able to contribute to the productivity of the economy. They are also more likely to experience frequent health care problems and to engage in crime. These costs are borne by the children themselves, but ultimately by the wider society as well. Michael Francum, who has a master’s degree in social work, exhibits excellent student loan hygiene. He got himself into the right loan and the right kind of repayment plan. He then sent in an official Employer Certification Form to be sure that his work for the National Association of Social Workers — a nonprofit organization that is in a tax category known as 501(c)(6) — qualified as public service. In 2014, FedLoan sent him official notice that it did. “That was exciting,” he said. The story changed the next year, however, when he called to get an update on his countdown clock. A phone representative told him that his employer did not in fact qualify and that its decision was retroactive, wiping out credit for payments he had already made. Social workers and local police officers are working together in a new Snohomish County unit which is meant to help homeless individuals get to services that can help them. Marysville, Arlington and the county are joining forces on the new unit from the County Sheriff’s Office of Neighborhoods. While a similar program existed in the south county, this will be the first time it’s been brought to Arlington and Marysville areas. Local police officers work with embedded social workers to go to camps and find those with homelessness or drug abuse issues. A social worker-led palliative care intervention seems beneficial for patients with advanced heart failure at high risk for mortality, according to a study published online April 11 in JAMA Cardiology. Arden E. O’Donnell, MPH, from Boston University School of Social Work, and colleagues compared a social worker-led palliative care intervention with usual care for patients recently hospitalized for management of acute heart failure with risk factors for poor prognosis. Fifty patients were randomized to the intervention or usual care. I am writing to express my concerns over the funding of the Medicare Savings Program here in the state of Connecticut. I am a social worker. I work with low-income seniors all across the state of Connecticut and this issue is extremely important to my clients. I am writing to inform you of what the cuts to the Medicare Savings Plan will do to many low- income seniors across the state. Are you registered to vote? Yes? Great! No? You still have some time. The deadline to register to vote in the 2018 West Virginia primary is Tuesday. May 8 is primary Election Day. This year’s election isn’t a presidential election, but a mid-term election. According to the West Virginia Secretary of State’s Office, these races, along with several others, are on the ballot in West Virginia: U.S. Senate, U.S. House of Representatives, state Senate, House of Delegates, county commissions and boards of education. First and foremost, make sure you’re out of harm’s way. “You need to ensure that you’re safe and that the perpetrator is gone,” says Janika Joyner, a licensed clinical social worker and certified clinical trauma professional in Virginia. If you’re in immediate danger, call 911. Otherwise, find someone who can help you navigate the next steps — that can be a parent, a friend, the RA at your dorm, or the National Sexual Assault Hotline (1-800-656-4673).